With its strange, imaginative blend of horror, science fiction, romance and lyrical prose, Robert W. Chambers' The King in Yellow is a classic masterpiece of weird fiction. This series of vaguely connected stories is linked by the presence of a monstrous and suppressed book which brings fright, madness and spectral tragedy to all those who read it. An air of futility and doom pervade these pages like a sweet insidious poison. Dare you read it? This collection has been called the most important book in Amercian supernatural fiction between Poe and the moderns. H.P. Lovecraft, creator of the famed Cthulu Mythos, whose own fiction was greatly influenced by this book stated that The King in Yellow 'achieves notable heights of cosmic fear.Robert William Chambers was an American artist and fiction writer. His first novel, In the Quarter was published in 1887 but his most famous, and perhaps most meritorious, effort is The King in Yellow, a collection of Art Nouveau short stories. E. F. Bleiler describes it as one of the most important works of American supernatural fiction.It was also strongly admired by H.P. Lovecraft and his circle. 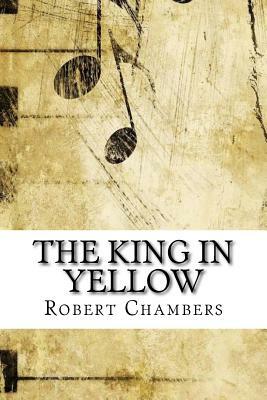 Chambers returned to the weird genre in his later short story collections The Maker of Moons, The Mystery of Choice and The Tree of Heaven, but none earned him as much success as The King in Yellow. Some of Chambers's work contains elements of science fiction, such as In Search of the Unknown and Police , about a zoologist who encounters monsters. Chambers later turned to writing romantic fiction to earn a living and according to some estimates, had one of the most successful literary careers of his period, his later novels selling well and a handful achieving best-seller status.